Reenactment is then achieved by fast and efficient deformation transfer between source and target. The mouth interior that best matches the re-targeted expression is retrieved from the target sequence and warped to produce an accurate fit. 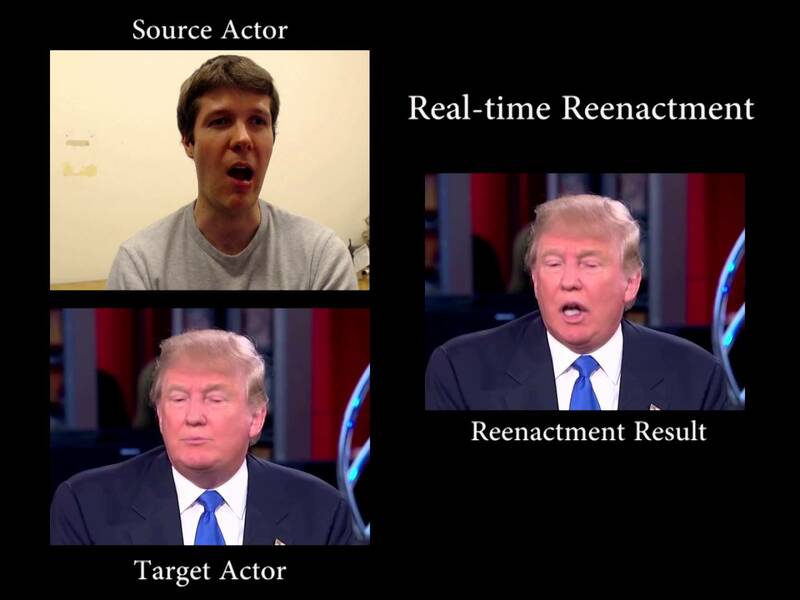 Finally, we convincingly re-render the synthesized target face on top of the corresponding video stream such that it seamlessly blends with the real-world illumination. We demonstrate our method in a live setup, where Youtube videos are reenacted in real time.